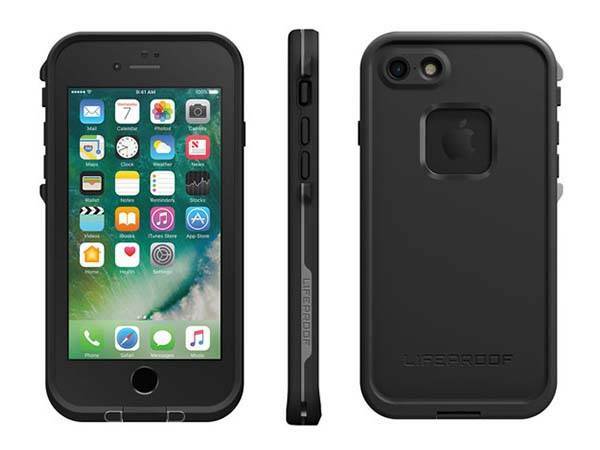 Need an all-around protection for your iPhone 7/7 Plus? Take a look at LifeProof’s later FRĒ waterproof iPhone 7 case. It may be a nice solution. The PRĒ is a rugged and fully sealed waterproof protective case that’s available in two sizes for iPhone 7/7 Plus. As we can see from the images, the FRĒ iPhone 7 case follows the classic design of FRĒ waterproof case series, but more smooth design elements make the case look sleeker and unobtrusive, and since iPhone 7 has no 3.5mm audio output, the case has removed the audio cover that appears on FRĒ iPhone 6 case. Moreover, eight optional color schemes allow it to match various senses of style, and slim profile and matte finish let you comfortably and firmly hold the phone in your hand. 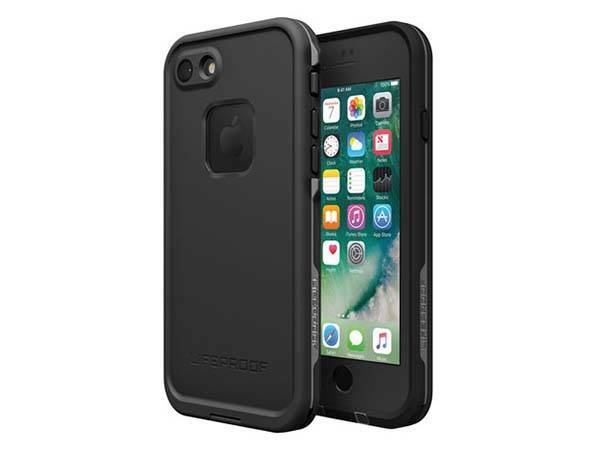 The waterproof iPhone 7 case features a fully sealed design with its built-in screen protector and button and port covers, so it has the ability to make your handset withstand circulating talc for 8 hours and water immersion to 6.6 ft/ 2m for one hour, and the sealed design prevents your phone from the damage of dirt, dust, snow and ice. Meanwhile, it’s strong enough to protect your iPhone from drops and scratches. In addition, all iPhone buttons and Lightning port stay accessible. The FRĒ iPhone 7/7 Plus waterproof case is priced at $89.99 USD. If you’re interested, jump to LifeProof official site for its more details. Additionally, also don’t miss another waterproof iPhone 7 case and more cool stuff by following tags.